Afghanistan’s southern province of Kandahar votes in parliamentary elections on Saturday, a week after 32 of the country’s 34 provinces went to the polls, a delay caused by the assassination of its police chief by Taliban insurgents. 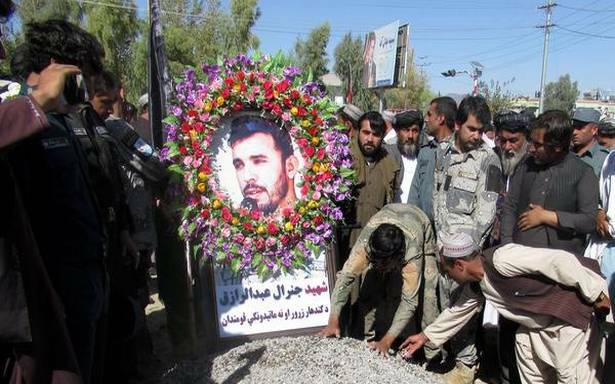 Kandahar police chief General Abdul Razeq, one of Afghanistans most feared anti-Taliban commanders, was killed two days before the elections, leaving a dangerous security vacuum. Razeq and Kandahar’s intelligence agency commander were killed when a member of the provincial governors bodyguard opened fire on officials leaving a meeting with the U.S. commander of Afghanistan’s NATO-led force, General Scott Miller. Gen. Miller escaped unharmed, but a U.S. general was one of two Americans wounded in the attack that further weakened the hold of President Ashraf Ghani’s Western-backed government on security. Elections were also not held in central Ghazni province, southwest of the capital, which is still reeling from Talibans takeover in August. It was not immediately clear when they will be held.